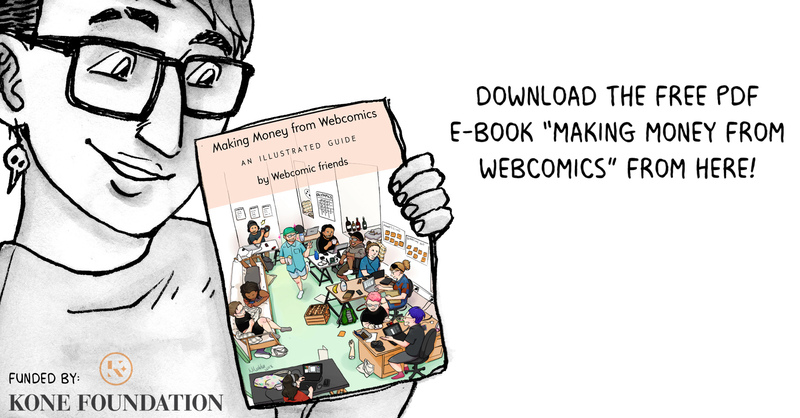 Making Money from Webcomics – An Illustrated Guide is a product of the joint effort of an international group of webcomics artists, Finnish comics makers and the funding from Kone Foundation. 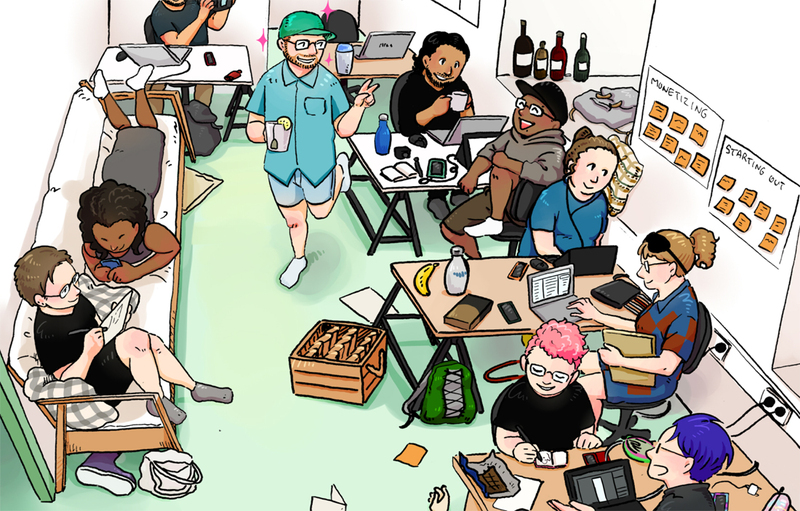 I started the project two years ago and in August 2018 a bunch of webcomics artists traveled to Finland for a joint two-week artist residency. The end result is a free PDF book. Spread it around and help anyone with a comics career! Alex Norris, David Daneman, Eelis Nilukka, Enzo, H-P Lehkonen, Jose Rojas, Laura Romagnoli, Megan McKay, Olivia Walch, Paju Ruotsalainen, Sara Valta. HERE’S also a link to Making Money from Webcomics as an Issuu publication. HERE’S SOME INFORMATION ABOUT THE FINNISH COMICS SCENE! Finnish Comics Society is the head organization in comics in Finland. The work they do in Finland consists of teaching comics, holding exhibitions, giving out awards for a life work in comics, publishing the Sarjainfo magazine, taking care of the Comics Center in Helsinki and organizing the Helsinki Comics Festival, among many other things. The aim is to promote awareness of comics as an art and entertainment form in Finland and around the world. Helsinki Comics Festival is an event held every fall in the capital city of Finland, Helsinki. The festival offers panels, interviews, workshops, performances and much more, and includes Zine Fest in which indie comics artists can come to exhibit their own works. Finnish Comics Society works together with a broad array comics festivals and organizations around the world. If you’re interested in co-operation, feel free to contact us at info@sarjakuvaseura.fi. Originally posted here and shared with permission.